The nice thing about Christmas time is that my friends inevitably pull out some good wines. 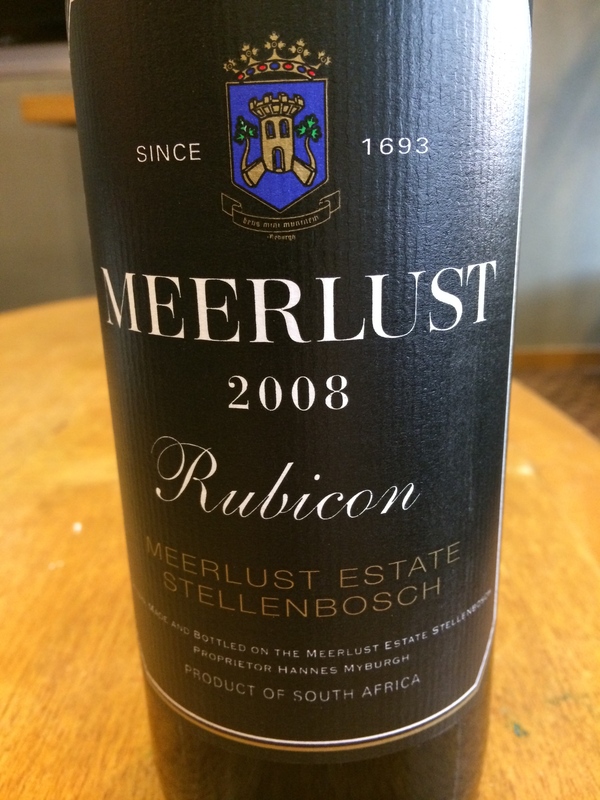 I have had the 2007 Rubicon before and was treated to the ’08 last night. Like it’s older brother, a tannic, brooding wine just waiting to be unleashed. Black in the glass with some serious notes of blackberry and plum jam. I also got tea, mint and a dose of oak on the palate which was harmoniously balanced and very dry from the huge tannins. The wine is a blend of Cabernet Sauvignon with some Merlot, Cabernet Franc and a touch of Petit Verdot- a classic Bordeaux blend. The aging potential for this wine is at least 20 years, with it starting to open up in another 3-4 years. I feel we drank this too young and it will develop into something special with time. I did a quick price search, it can be had for around $26. I am giving it 92 points and 5 stars. I need to get some for the corner of my cellar and hide it away for a few years. Great stuff. Salut…. The World through My Glass! Passionate about beautiful wines, spirits and gifts. The Wine Experience and everything that comes along with it. Every bottle of wine is an opportunity to learn something. vo·lup·tu·ar·y noun: a person whose life is devoted to the pursuit and enjoyment of luxury and pleasure. Smile! You’re on the coolest wine blog ever.